This is a shield-shaped Sohio Gasoline porcelain sign. This particular Sohio Gasoline sign is red, white, and yellow. 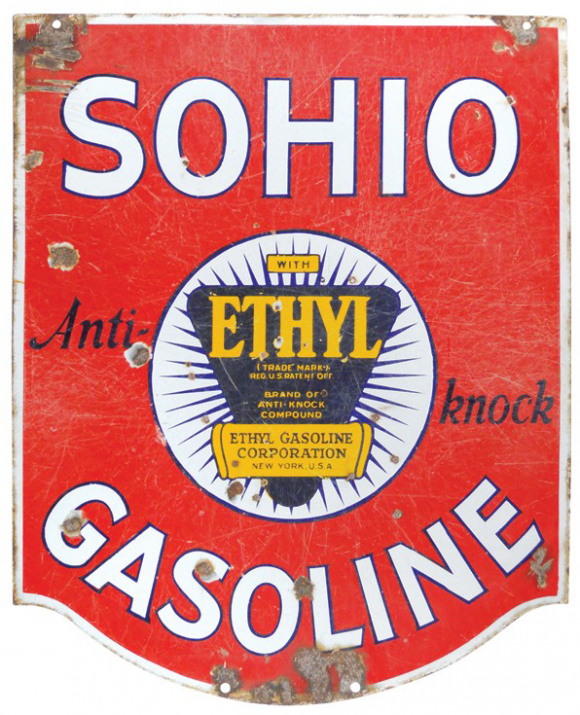 It reads, “Sohio with Ethyl Brand of Anti-Knock Compound, Ethyl Gasoline Corporation, Anti-Knock Gasoline” and features a white circle with a black and yellow triangle in the center of the sign.